Nature's Answer alcohol-free extracts are produced using alcohol‚ water and natural extractants. 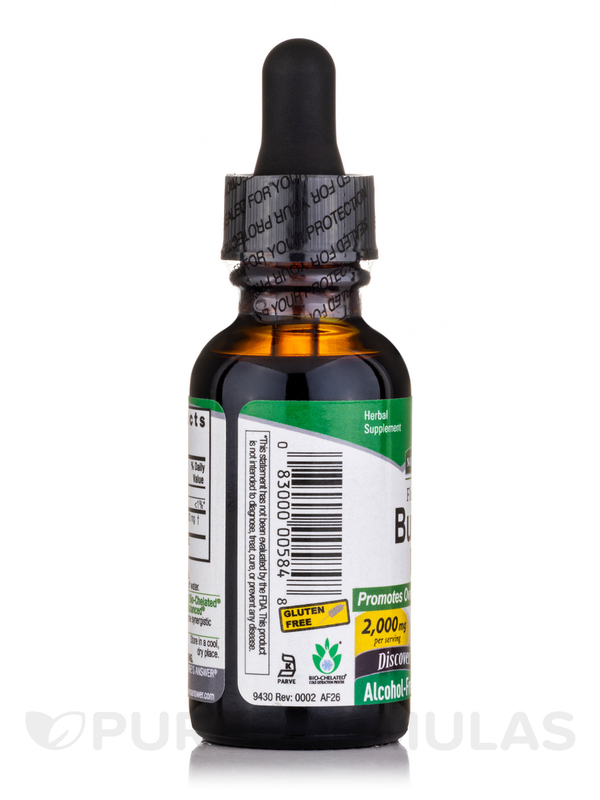 All alcohol and extractants are then removed through our cold Bio-Chelated proprietary extraction process‚ yielding a Holistically Balanced standardized extract. 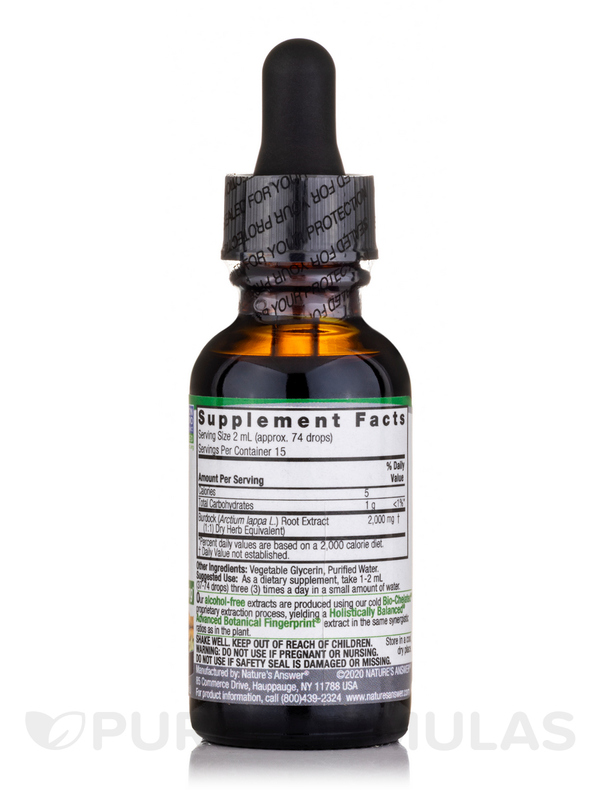 Liquid extracts are absorbed faster than tablets or capsules. Holistically Balanced guarantees that the constituents of the extract are in the same ratios as in the plant. Manufactured in our CGMP facility; Unconditionally guaranteed. *Daily Value ( DV ) not established. I'm using Burdock Root Extract by Nature's Answer as part of my home made deep conditioning mixes. 1-2 drops in each batch mixes well. 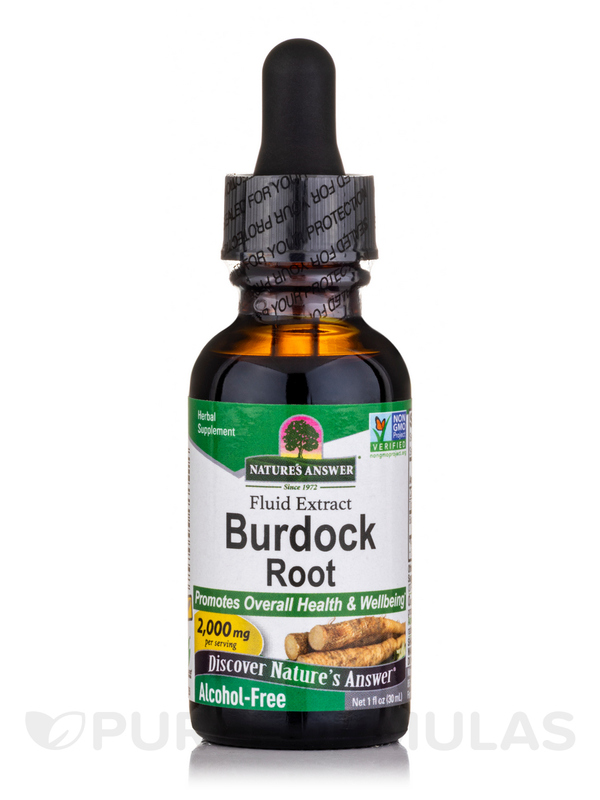 Burdock root is great for hair growth\keeping the scalp healthy. I use this along with Nettle extract in my hair recipes. --mixes well --promotes good hair health.